Namaste!! here we, Himalayan Leaders Trekking team offer our brief introduction welcoming your visit to our company for your holidays. Born in 1972, in Jiri (trekking starting point of Mt. 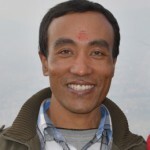 Everest in Nepal), his step in tourism was as a Store Keeper in one of the trekking companies and later he promoted as a trekking guide for the same company. During the period of his guided, he led uncountable trekking groups to the several mountain regions of the Himalayas. His Majesty of Tourism and Training Center of Nepal has also awarded him with Trekking guide certificate. In 1993, he joined a Dutch Marketing and Tour Operator Company as a Tour Leader. 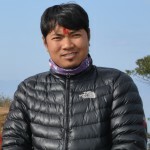 He has a long experience in the wide fields of the trekking and travel which, is not only limited in Nepal but has achieved a great experience and knowledge in India, Bhutan and Tibet by operating a large number of tours and trek package of the people from all over the world who have made their holidays from the Himalayan Leaders company. Besides, Mr. Dahal himself has already traveled in many countries of Europe and Asia. In 1989, traveling through India, he came into contact with Jagat Dahal, who was working in the off-season July-August, in Leh (Ladakh) as office manager for the biggest Dutch tour operator. Since then, inseparable friends who work with full energy to the daily management and future of Himalayan Leaders. Fourth in 2014 the 25th anniversary of Himalayan Leaders with the 13.000ste customer! The only ” non – Nepalese ” when Himalayan Leaders. 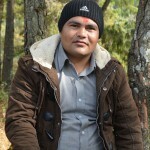 Dipendra Dahal launched his career in Himalayan Leaders since 2014. He is working as an Operation Manager, where he manages and arranges indoor and outdoor activities, website, manage official documents. 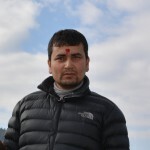 He has done his Master degree in Tourism Management from Tribhuvan University, and also a license holder of trekking guide and tour guide from The Nepal government. He deals with coordinating the activities of various departments concerned with client’s relation and their satisfaction, managing and enhancing company performances and motivates staff on an individual and team level. He has excellent ability to solve problems and develop business process and also a capacity to respond the emerging challenges of operation management in future. He loves traveling different places and exploring new things. Neesha is a hardworking and very efficient worker team as ticketing officer. She has been serving in the agency since 2014. She checks out all needs of a guest ticket and also ensures as a front desk officer. She has the experience of more than 3 years in the tourism field. I am cultural guide of Himalayan leaders. As I was born in Kathmandu Valley in Newar Community. 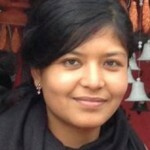 I have wide knowledge about Newari culture, tradition, festivals and also about Hinduism, Buddhism etc. I have been in this field for long time specially in Kathmandu valley, Pokhara, Lumbini, Chitwan and many more other places. 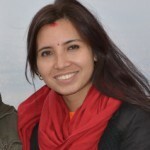 Namaste, I am Rita cultural guide of Himalayan leaders. As I was born in Kathmandu Valley in Newar family. I have wide knowledge of Newari culture, tradition, festivals and also about Hinduism, Buddhism etc. I have been in this field for long time especially in Kathmandu valley, Pokhara, Lumbini, Chitwan and many more. He was born in Dolakha district, east of Kathmandu. It is a Trekking Starting Point for Mt. Everest in Nepal called Jiri. He was born and brought up in Dhading District. 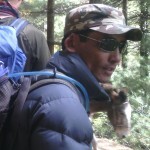 He started his career as trekking porter to trekking guide since 1999. Trekking is something which I always yearned to do and so after completing my studies took different trainings to enter this profession. Toran Sunuwar is one of the oldest members of Himalayan Leaders working since the establishment of the company. 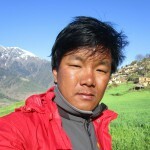 He was born and brought up in the Everest region where trekking and climbing is part of daily life. Mr Hem Bahadur Loppa from Dhading District of Nepal started his career as porter in a trekking agency. 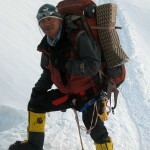 From decade Mr Dorchi Sherpa have adventure experience. 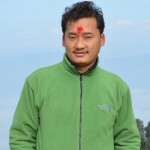 He was born in sulukhumbu district where trekking and climbing is part of daily life. Manesh was born in Arun valley of Sonkhuwa sabha in 1976. 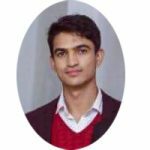 He got his school Education in his hometown khandbari and came to Kathmandu to enroll further study of college in the faculty of sociology. He was born and brought up in Kanchanjanga District. He was born and brought up in Kathmandu District. He started to work in the tourism field since 2003 and visited lots of trekking areas on mountain Bikers. He was born and brought up in Sunsari District. 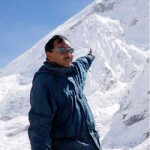 He started to work in the tourism field since 1982 and visited many trekking areas on trekkers.